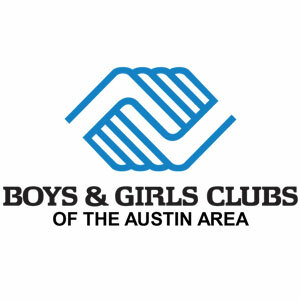 Boys & Girls Clubs of the Austin Area is Austin’s leading youth development agency, serving nearly 12,000 kids each year in Travis County via 24 Clubs. The Club’s Formula for Impact addresses youth development in three crucial areas: Academic Success, Character & Leadership, and Healthy Lifestyles. More than a safe haven for kids “at risk,” the Clubs inspire the limitless potential of kids, setting them on the path to a great future. Club members attend school more often, earn better grades, and get into trouble less than their non-member peers. 100% of Club member seniors graduate high school on time, compared to 84.9% for Austin Independent School District. The Club’s mission is to inspire and enable all young people, especially those who need us most, to realize their full potential as productive, responsible, and caring citizens. Learn more at bgcaustin.org. Follow us @bgcaustin or at facebook.com/bgcaustin.